I first saw Clemmie in early 2011. I was perusing the adoptable birds on the Best Friends Parrot Garden site, and this lovely girl stole my heart. I kept going back to her pic time and time again. I asked Jacqueline Bedsaul Johnson (Parrot Garden Manager)about her and her history. Her Journey had been a sad one, and one that tugged at my heart to share with others. I shared her story and her pics with others on Facebook almost daily. The world came to know and love her, just as I had. Through this I had met Julie Brock, a woman who had also fallen in love with Clemmie and wanted to adopt her and she did just that! I was so happy to know that this precious girl was finally going to have the love and care that she so deserved. Julie adored her and Clemmie began to bloom! She was loved and finally understood human love and kindness. She found her special human, who loved her unconditionally. 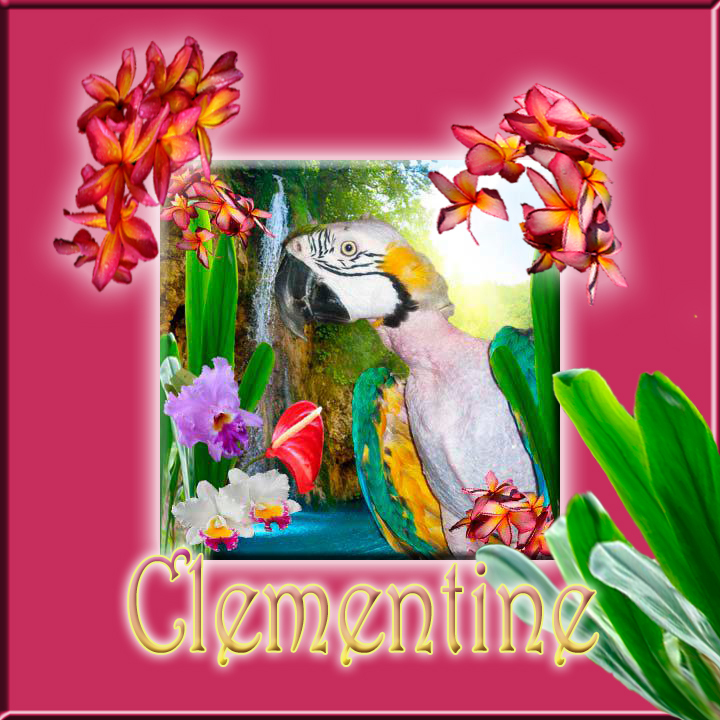 Sadly Clemmie passed away in April of 2013. Her life was cut so short, due to improper care she was given, before she was taken to Best Friends Parrot Garden. These amazing creatures are not meant to be cages and forced into breeding. They are meant to soar and play as the beautiful child like creatures that God created. They are suppose to choose their mates and live with their family flocks in the fresh air and fly above the trees. I never had the pleasure of meeting Clemmie in person, or touch her beautiful face….but I will forever hold her in my heart and share her story with whomever will listen. She and so many others have captured my heart and I will never stop trying to make the world listen and be their voice. Please for them…share this story….share Clementines journey and hopefully together we can make a difference for them! These links are her story…..